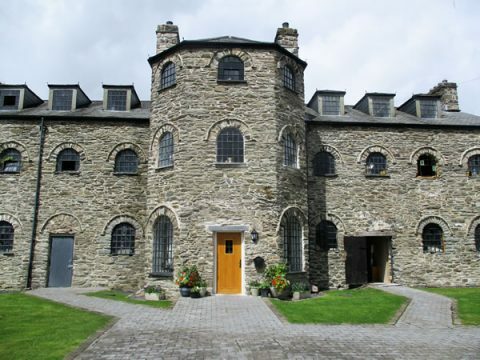 Hello, and a big welcome from Ian and Georgina to our new website at the historic Old Workhouse B&B in Bala, Snowdonia. I hope you’ll enjoy reading about us, about the beautiful local area, and a little bit of the history of the old workhouse – one of the town’s most historic buildings. Then, maybe you will come and visit us to enjoy the fantastic countryside and activities available in and around Bala – mountains, walking, sailing, zip wires…the list is endless. Snowdonia has eclipsed The Lake District as a major activity centre, and has led to a Lonely Planet Guide listing us as the fourth best place in the world to visit, the only place in the UK to feature in the rankings. 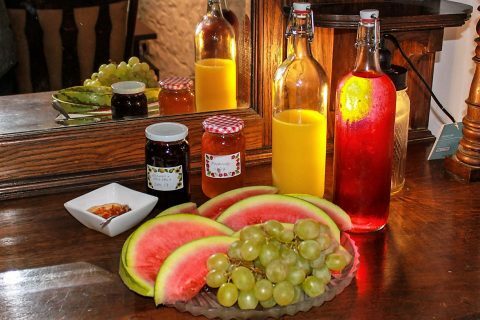 The workhouse bed and breakfast is located in Bala town centre and we offer a warm welcome in comfortable surroundings that belie the history of the building, which has a Grade 11* listing to emphasise its importance on the local and national scene. Less than six percent of listed buildings in England and Wales enjoy the same high grading. The workhouse has two spacious letting bedrooms, on the top floor of the building, with panoramic views over the rooftops to the surrounding hillsides – and to the chickens next door. Both rooms are modern in style, have en-suite bathrooms and vaulted ceilings. The B&B accommodation can be used either as a double-bedroom or a twin room with two single beds and both are charged at the same rate of £75.00 per night, including a full Welsh breakfast. We spent over two years on the renovation of the building, trying hard to maintain its character, but at the same time bringing it up to date to offer a relaxed and friendly greeting in a comfortable setting. Like Ian and Georgina it’s a mix of ancient and modern. The kitchen/breakfast room at the B&B retains its steel beams and slate-flagged floors, a relic from the industrial heritage of the building, but has been modernised with underfloor heating and new-fangled appliances like a gas stove – dishwasher and fridge even. Gruel is no longer on the breakfast menu, but will be served on request to anyone seeking the authentic experience – just don’t ask for more. What we do offer is a full Welsh breakfast cooked by Ian, with Georgina hovering close by doing her famous impersonation of Julie Walters as Mrs Overall. The bread is homemade as are most of the jams and marmalade. Eggs, sausages and bacon are all locally sourced and we offer a full range of cereals etc…If there are any special requirements, just let us know and we will do our best to cater for them. Being in the centre of bustling Bala, there are bars, pubs, restaurants and cafes on the doorstep. Yet Bala lake is only a five-minute stroll away and the mountains are all around us.